On September 23-25, Migration and Diaspora Studies held the three-day workshop “Power and Influence in the Global Refugee Regime” organized by Dr. James Milner from Carleton’s Department of Political Science. The event brought together scholars and practitioners from academia, NGOs and government to discuss how refugee policy is influenced and implemented by a broad range of actors, from grassroots activists to transnational governments. One of the presenters was Dr. Gil Loescher from the Refugee Studies Centre at Oxford University. Gil kindly agreed to hold a separate master class for graduate students before the main workshop took place. 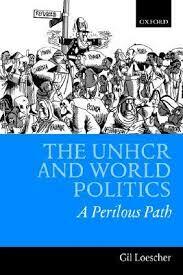 The master class, hosted by Dr. Milner and Dr. Dominique Marshall from the Department of History had been organized around a discussion of Gil’s 2001 book, The UNHCR and World Politics: A Perilous Path, a definitive political history of the first five decades of the Office of the United Nations High Commissioner for Refugees. The class however, developed into something much more than a discussion of this book.